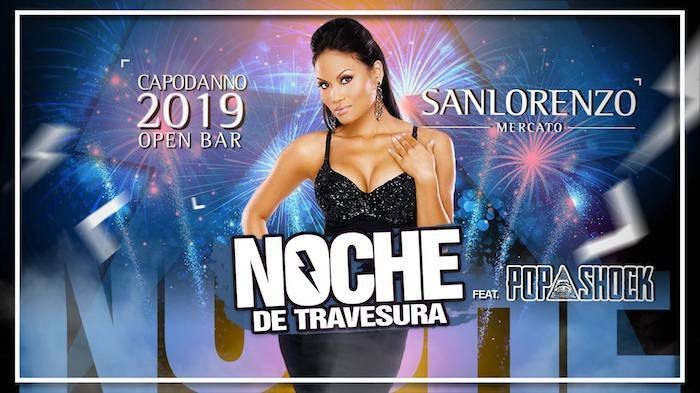 Today, Old Don Tano is gonna provide you with all the details about what you can (and should) do to celebrate the upcoming New Year’s Eve Palermo Festivities for 2019. 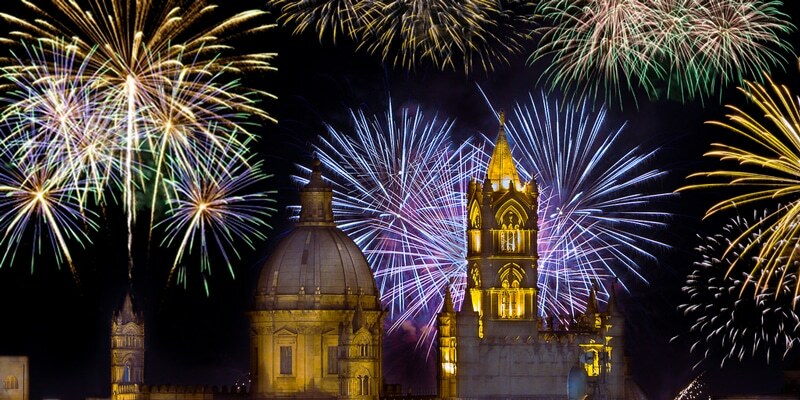 Here in Palermo, we just can’t wait to participate in celebrations, so starting from December first, the question that weighs most heavily on every Sicilian’s mind for New Year’s Eve is «Cosa faremo» (What are we gonna do) to celebrate New Year’s Eve? And as the days tick by and New Year’s Eve grows closer, the state of every Sicilian’s anxiety grows. At the same time, however — for some unexplainable reason — the average Sicilian manages to wait until the last day (the 30th of December) to finally decide where to go and what to do. Figurati! During the two suddenly frantic days before St. Sylvester’s Day (December 31st), the hunt for the last tickets left begins. This is a time when many turn to friends “in high places” to be admitted to an outstanding party or restaurant dinner party. And they know perfectly well they could have bought the tickets easily only two or three days earlier. As always, wherever you go, a few knotty problems always arise. Here, for some reason, clubs, restaurants, party planners and other event promoters don’t take advantage of the Internet to do promotions. Perhaps you’ll see one here or there on Facebook posts in Italian, but almost none mention how to get your tickets. In Palermo, it’s all done by word of mouth save for the official event organized each year by the Municipality of Palermo which takes place in one of the city’s main public squares.  For you, as a tourist arriving from abroad this means: If you want to visit the city during Christmastime and enjoy the New Year’s Eve Celebration, you’ll have a hard time finding something to do save for attending the aforementioned event organized the Municipality, or possibly, some touristy restaurant that serves mediocre food. The Municipality of Palermo event is open to all and there’s no charge to attend. 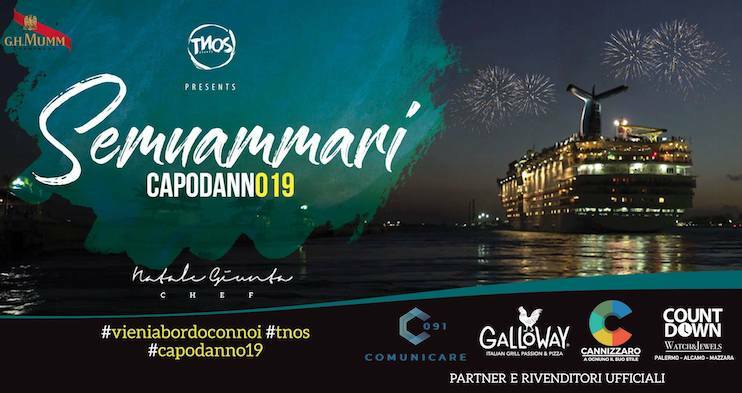 Many famous, as well as emerging Italian singers, accompany the audience right up to midnight when the amazing firework show welcomes the arrival of 2019. Aside from the fireworks show, etc. you may find it hard to know what to do, but fortunately for you, old Don Tano is here to help you find your way around and choose what to do while you’re here in Palermo. First of all, the most coming thing. That would be the vast square Castelnuovo, known as Piazza Politeama. Every year the holds just about its biggest celebration. And if you book early, you can enjoy a nearby bed and breakfast room with “camera matrimoniale” (double bed), for very attractive prices. Then the events presented by the Municipality of Palermo are close by. After the fireworks show has ended not everyone has a lot of people don’t have a party waiting, so these people — people of all ages — families with children, teenagers, middle-aged people, and many single guys and gals, all head for Old Town and the New City Center. Unfortunately, I recommend the party locales just mentioned only if you can’t find any other options. I’m pretty sure you come to Sicily to enjoy yourself. While having foreigners as guests for New Year’s Eve might be fun for locals, it’s not something I’d recommend to visitors the festivities in Old Town and the New City Center. Go perhaps to the latter celebrations only if you’re out of options. 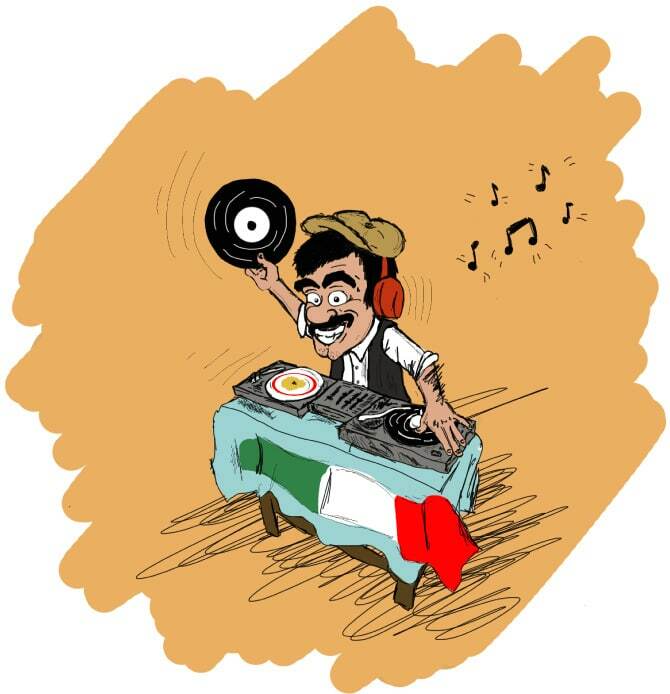 Unless you’re deep into the study of Italian and want to have a genuine Italian experience, I don’t think you’re gonna get much fun out of listening to a lot of people talking in a language you can’t understand. The Cenone is a must in Italy for the New Year’s Eve. It’s not like a Christmas lunch when the main goal of the locals seems to kill themselves with an intestinal explosion. The feature of this dinner s the wine. Not all restaurants organize a New Year’s Eve dinner for la Notte di San Silvestro. In fact, the majority remain closed because so many locals prefer their own private dinners among friends. Having said that, many restaurants do set up a special cenone. The classic Cenone. Here a restaurant offers a set menu at a fixed price with unlimited wine. This will normally cost each diner between €30 to €50 (somewhere between $35 to $60). The Veglione (Dinner and a party) This dinner comes with a set menu as above and after a toast to midnight, the restaurant turns into a nightclub with dance music. This dine and dance evening will cost around €70 to €80 (Approximately $80 to $115) per person. While the cost may not seem too extravagant, these places seldom offer more than mediocre dinners. Perhaps understandably, many restaurateurs who have little interest in encouraging new visitors. They choose rather to increase their cash register receipts as much as possible, knowing their patrons will be foreigners who are unlikely to return and certainly will never become regular customers. ‼️Cenone is a must in the whole Belpaese, but it’s not easy to find a place that really serves good food around the end of each year. 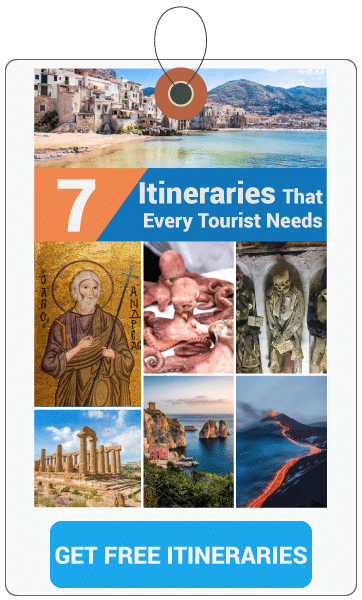 Without a doubt, this is the best way to enjoy great food and have fun in Sicily, especially if you plan to rent an apartment and spend a little time here. You can hire a local cook who will prepare dinner right in your residence. You’ll have not only the opportunity to try the best dishes of the variegated Sicilian cuisine but you’ll become immersed in a total culinary experience while the chef prepares a dinner cooks right in front of you (if you want to watch). In the morning you may accompany your cook out to the historic street markets for the daily shopping while your cook explains the secrets of Sicilian cuisine. This sort of service can cost some €200 to €300 (Around $230-$350) but it’s well worth the expense. If you come together with a group, for the same price of Cenone you’ll have a local cook in your apartment and…you’ll return home after having lived an unforgettable experience. Priceless! You can also have a bartender who will prepare original Italian cocktails from Negroni to Aperol Spritz. Maggie Hoffman says a Spritz is a bit more adult than a soda but still sweet and friendly. These services run about €150. Alcohol not included of course. If there’s any drawback to having private cooks and bartenders it would be that they’re hard to find since locals hire most if not all of them well in advance. If you want to hire a cook, a bartender (or both), send an email to Old Don Tano (info@wearepalermo.com) and I’ll give you some contacts. If you can afford it, the best way to enjoy real Sicilian food on New Year’s Eve is the in-house cook. You’ll enjoy real Sicilian food on New Year’s Eve, as well as enjoying a fun culinary experience with a real cook preparing a sumptuous repast just for you and your guests. What a great Saint Sylvester evening, especially for a group. Great. For young locals especially, dancing is the definite epilogue to a long New Year’s Eve night on the town. They’re famous for their wild parties, with plenty of fun and plenty of alcohol to wash it down. These parties, at least the organized parties, are generally divided into age and type. That means there are parties for teenagers, parties for 20 to 25 years old, parties for 25 to 32 years, and parties for 32 to 45 years old. You’d have a hard time finding a 30-year-old dancing with 20-year-old students. And you wouldn’t see stylish people dancing with rockers. Palermo is a city where different kinds don’t mix well at all. But no matter who you are, don’t despair. Thee are parties for everyone and the only drawback is that if you’re not a local it’s not easy finding the right party. Besides, it’s not like in other European cities where many clubs become famous but also plan the parties. As I already mentioned, everything works with word of mouth and the only way to learn about the best parties is by talking with some of the locals. If you really intend to attend a party, just drop me an email at (info@wearepalermo.com) and I’ll try to propose some solutions based on your needs. Parties in Palermo are really lots of fun but it’s hard to learn the protocol here. It’s hard to find the best parties for you and your group, and even harder to get a ticket on time. If you hope to get in some dancing on New Year’s Eve, just email me at (info@wearepalermo.com) and I’ll give you all the details I can. Barhopping or pub crawling may sound a bit desperate but I can assure you that it’s anything but boring. A lot of bars in the Old Town and downtown as well remain open until early morning and jammed with thousands of people who didn’t make it to any party and with that number of people who prefer to raise their elbows for another while socializing with their neighbor next to them. I’ve already told you that Sicilians are wait-till-the-last-minute people. Organizers are — well, not very well organized — they’re not at all market-oriented somehow always delay Promotions until the very last second. All the above applies equally to our great New Year’s Eve Promotions. As I write this blog, I’m trying to gather together all the events as I learn the details that I learn as I pick the brains of the local organizers around town. I’m gonna do my best to update this blog daily with every bit of new information as anything pops up. For any information and booking, you’ll need to contact the organizers directly. From Christmas onward, you’re unlikely to be able to find anything available. You have to pay in advance to book any event. I have to stress that Wearepalermo.com is in no way tied to any of the upcoming events that I’m gonna list here. For anything you need or want that’s related to an event, you have to direct your inquiries to directly to the organizers of the event. Organizers are gonna set up the New Year’s Eve festival inside the Mercato San Lorenzo. This is an indoor market that primarily hosts families with kids to dine and make lots of noise. That goes on here all year round. A couple of details you should know about this location. The Mercato is a large modern structure with some three or four huge halls that can be set up for dances. A huge outdoor area offers entertainment beneath the stars. There is nothing special to mention here but it creates a great party atmosphere. This one is aboard the cruise ship La Suprema of the GNV group fleet. For information and booking, you should send a message through their Facebook Page. According to organizers, this promises to be something new and pretty cool. The night starts off with dinner. 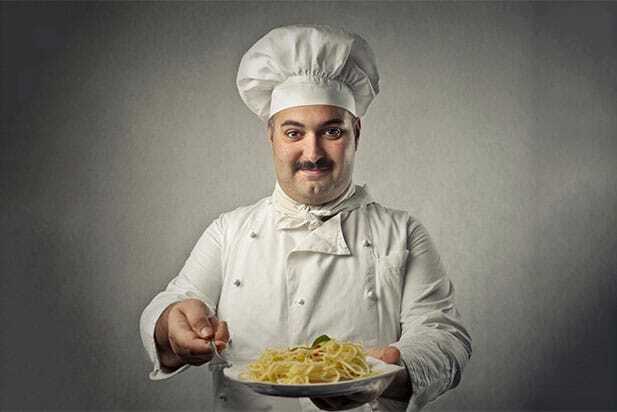 A special menu will have been prepared by the award-winning Italian chef Natale Giunta. The menu should be something really special and full of surprises. All that remains to be seen. A couple of words here about the ship. La Suprema is one of those gigantic cruise ships that features ten decks. Although it lacks the most luxurious amenities, it does have spacious ballrooms, panoramic elevators. La Suprema is a 24/7 ship with bars, shops, terraces and a great many more. 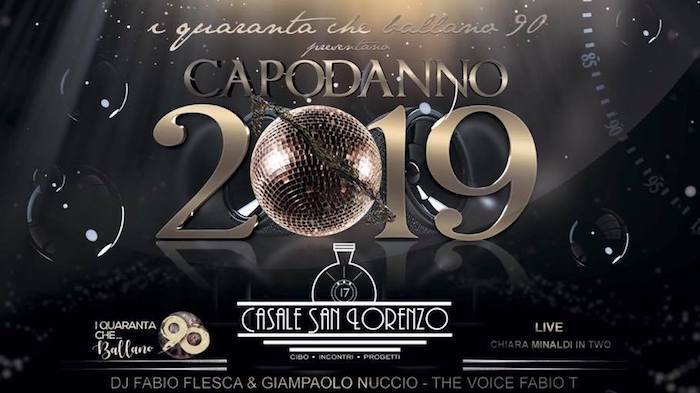 This promises to be a real 80s-style event in this historic and popular location for private events, the Casale San Lorenzo. The organizers promise a great New Year’s Eve celebration with great food, drinks, and music but nothing too wile. After all, most of the guests here will be families with their kids. A word about this location. Casale San Lorenzo is a lovely venue with indoor as well as outdoor areas. The better half is the outside terrace featuring a large pool enhanced by a lush green lawn. But in inclement weather, it has to remain closed so it may well be closed for New Year’s Eve. SideUp hosts this New Year’s Eve event. SideUp is a group of local organizers who try to find a way to become a reference point for all the parties being held in Palermo. I’m not so sure they’re gonna make it, but this particular event should be a nice one despite perhaps lacking in bang. Organizers expect between 600 to 800 guests in attendance. That’s a lot of revelers! This is an after-dinner party event where you can get in after 10:30 and if you book a room in advance, you can totter directly to your room. We hear they speak of the booze flowing freely, but that goes on pretty much all over. And SideUp promises dancing till dawn. We’ll soon see. This location offers easy access. It’s a quaint 3-star hotel with a green lawn New management has recently taken over and made some changes. Even though this is in the middle of a throbbing city, once inside you’ll feel as if you’re in a country inn. The Cantavespri is a popular club located in the heart of Old Town. Ask anyone about a great place to party and they’re gonna tell you it’s the Cantavespri. This hotspot also has the added convenience of being near the city center and many hotels. 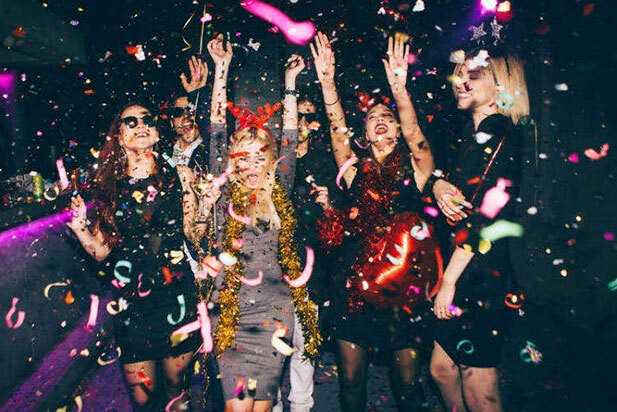 Every year organizers do their best to make the New Year’s Eve party an event that will meet anyone’s expectations, be they the locals or visitors. So far Cantavespri has never disappointed. To celebrate New Year’s Eve this year, the theme for Capodanno is New York in the 70s. Organizers will recreate the magical atmosphere of that famous disco club, Studio 54. 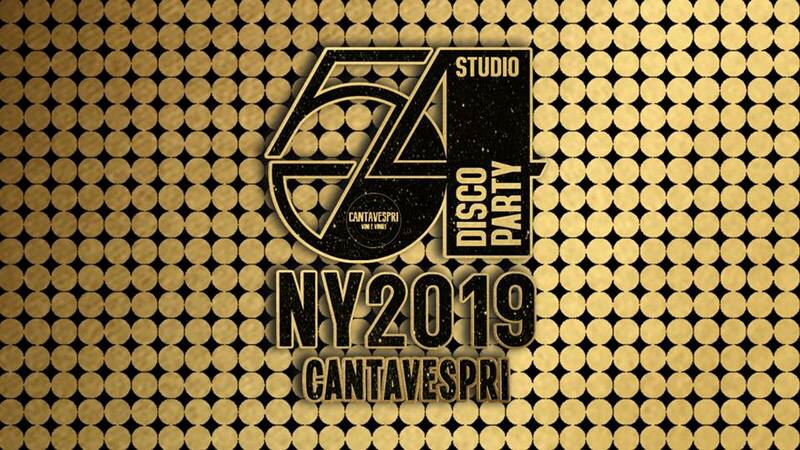 During its glamorous 3-year run from 1977 through 1980, Studio 54 was the innovator of disco dancing as exemplified in the wildly popular hit “Saturday Night Fever.” With John Travolta burning up the dance floor. Guests are encouraged to wear dress that recreates the clothing of the 70s, but that’s not mandatory. Just wear clothes, that’s all that’s required. Your evening begins with dinner, but that’s not mandatory and you may join the party after dinner, and at less cost to you. This promises to be one of the most popular New Year’s Eve events so if you plan to participate, you’d better see to your tickets soon as they sell fast and the club isn’t really large enough to hold huge crowds. A couple of words here about this location. As to location, Cantavespri located in the heart of the historic City Center is always busy even during weeknights. The venue is not large and for this reason, it’s always crowded, but it does have an outdoor area with tables where you can get fresh air along with your refreshments…sometimes. For information and booking, just send a message through their Facebook page. 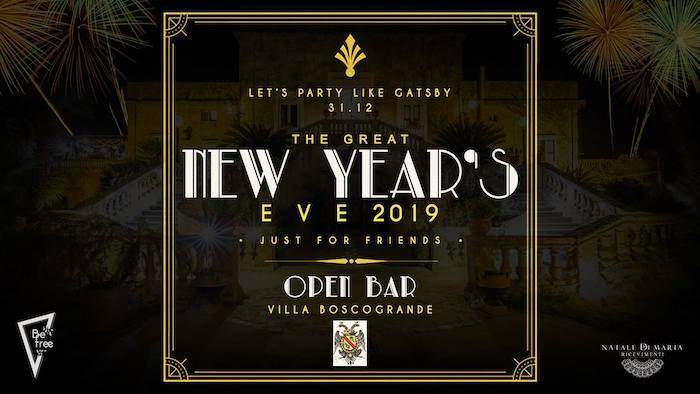 Another great event for a New Year’s Eve Celebration will be hosted by BeFree at the Villa Boscogrande. BeFree is the name for a popular group of our local organizers. For this year’s New Year’s Eve Celebration the theme will follow along the lines of Cantavespri and go for a party that will evoke the magical era of the Roaring Twenties, the rise of Jazz and Swing and The Great Gatsby. The party here starts of with a dinner and then the entire villa transforms itself into a huge dance floor. The organizers promise to provide the guests with dining, drinks of all kinds with no expense being spared. 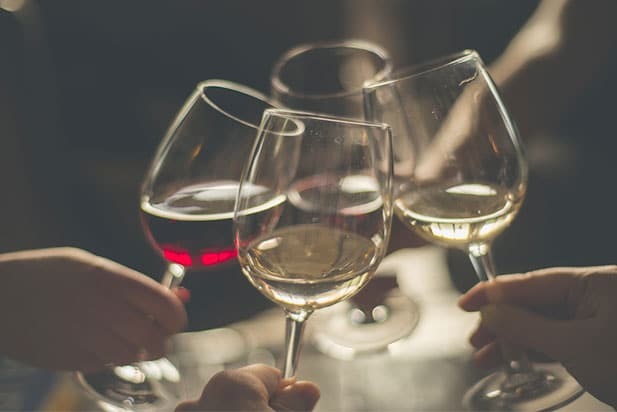 I can’t say whether the food and beverages will meet the expectations of guests, but I can assure you of one thing: You’ll find that a night spent at the Villa was well worth your while. In case you’ve never heard of it, I’m gonna tell you a little about the Villa Boscogrande. Do you remember the Italian masterpiece film, The Leopard directed by Luchino Visconti? Well, when filming this story from the novel by Giuseppe Tomasi di Lampedusa, il Signore Visconti chose to film some of the scenes at the Villa Boscogrande. Villa Boscogrande was constructed during an era when Palermo was a center for architecture and splendor. This eighteenth-century villa represents an elegant example of the transition of the architecture from the baroque to neoclassical. 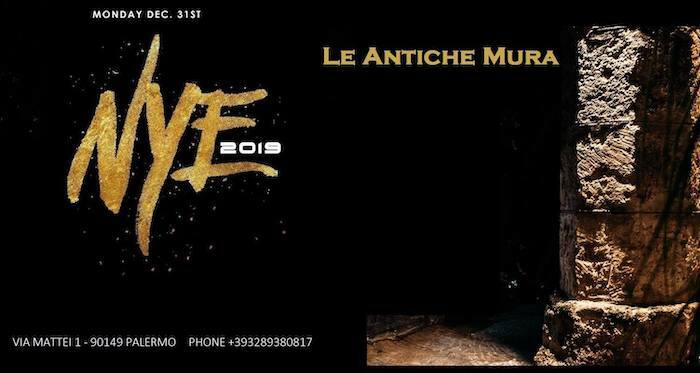 I don’t know if this is gonna be the best event in all of Sicily, but maybe. I’m just sayin’. In any case, it’s sure to be one that’s gonna be sold out quickly. Unlocked are serious organizers and they never stoop to trivial events. 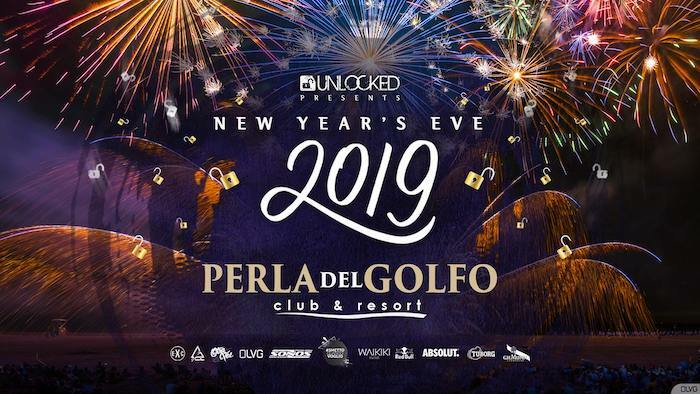 This year they’re holding the New Year’s Eve party in Perla del Golfo Club and Resort, a beautiful and perfect location that has all the makings for a great success. Another plus is that Galati, renowned for being the finest caterer in Palermo. After the dinner, a host of DJs hand-picked by Unlocked (That alone is a guarantee) will keep guests dancing through the night. You may possibly book a room at the resort. I think that’s a great idea because the Perla del Golfo Resort is located some 30 km from Palermo. Here’s a little information about this location. Perla del Golfo is a refined resort featuring great services in the seaside village of Terrasini. Outside, a large expanse of gardens with pools for strolling or rest. Wonderful ballrooms and dining room. I understand that the gardens are gonna be open on the last day of 2018 unless it rains. This may be an option for the Cenone, but I have to give you a word of caution. It doesn’t give me much pleasure to say that in the past, the New Year’s Eve dinners (Cenone di Capodanno) have been rather disappointing. I don’t know exactly why, but this time of the year seems to have a negative effect on most of the better restaurants in Palermo. For some unknown reason, it always seems that these great chefs forget how to cook properly. Worse: they want to charge you even more than usual for the lousy dinner. Maybe the chefs start celebrating in the kitchen early in the afternoon with copious bottles of vino rosso. Evidently, they think they’re taking advantage of the celebration to make more money, but it’s just a tactic that doesn’t work very well. After one such experience, you’re not likely ever to return again. These places not only lose a customer but they’re gonna lose other potential customers because that disappointed customer is gonna tell everyone about the bad experience. For all that, I don’t want to discourage you. If you want to dine out on New Year’s Eve, go for it. I just want to warn you not to go out with high expectations. 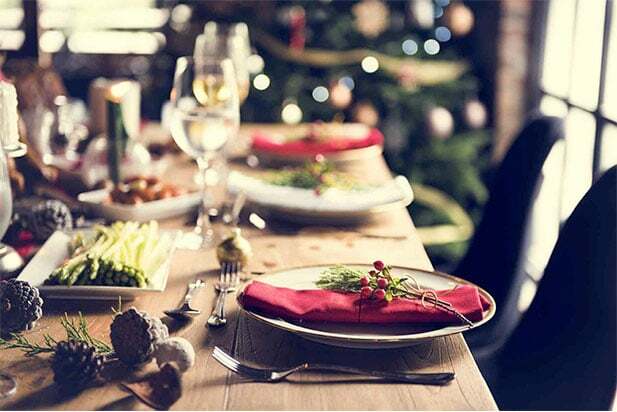 Usually, you can dine in thousands of locations and enjoy really wonderful food, but for some reason, dates like New Year’s Eve, Christmas and Easter, even locals have a hard time finding a good place to dine. Having said all that, Le Antiche Mura may be a good choice anyway. This elegant restaurant in Mondello (at the seaside and close to Palermo) turns into a splendid dance floor later in the evening. The cost is 120€ per guest. That includes the dinner and the party to celebrate New Year’s Eve. Considering the all-inclusive dinner and party afterward, this is a pretty good value. At dinner you’re gonna have a complete dinner starting off with appetizers. Two main courses follow that and then two second courses. Dinner will be rounded off with a delicious dessert. Le Antiche Mura is situated inside a very old villa close to the famed Mondello Beach. This restaurant features both inside facilities as well as an exterior area. Last year, with such lovely weather, guests dined outside in the garden. This year…maybe. 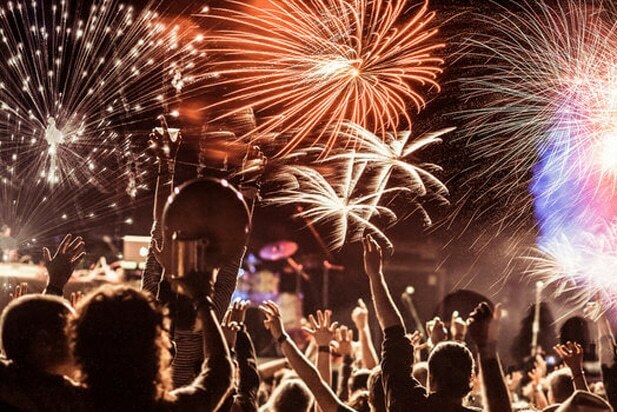 Whatever your plans, the main thing is to have a great time ringing in the new year of 2019. I recommend you visit our tourist information page where you’ll you’ll find more valuable suggestions.